The famous 19th-century literary critic Vissarion Belinsky called Pushkin's Eugene Onegin "an encyclopedia of Russian life". Was he being too hasty? Gogol - with The Inspector-General and Dead Souls, The Nose and The Overcoat - was just as much chronicler of his nation's life. Yet Gogol's place in the history of Russian literature remains the subject of debate, even today. Most people consider him a satirist. Was he making fun of the prevailing manners and morals in Russia, which changed far more slowly than the times? Without a doubt. But unlike the father of satire, Juvenal, who chastised and castigated mercilessly, Gogol was harsh but also compassionate towards his heroes. "Why do you laugh? You are laughing at yourself." In Gogol's works one can find a thousand parallels with today's Russia. "And if he asks why the church at the hospital for which the money was appropriated fi ve years ago has not been built, don't let them forget to say that the building was begun but was destroyed by fire... or else some blamed fool might forget and let out that the building was never even begun." How does this "wise" piece of advice from the governor in Gogol's play The Inspector-General differ from current methods of pocketing state finances? How do Chichikov's shady business deals in Dead Souls differ from the way businessmen today "optimise" their tax burden? Had Gogol been only a witty describer of social evils, he would have joined the ranks of Russian satirists - from Saltykov-Shchedrin to the malicious-tongued denouncers of our time. But that wasn't enough for Gogol. He feels compassion and sympathy for his characters because he doesn't blame them personally for their vices; rather he attributes them to the imperfection of the social system and conditions, moral and material. Not wishing to limit himself to being a mere satirist, Gogol got involved in the age-old Russian argument between Westernisers and Slavophiles. And at the end of his life, torn by disagreements with himself and the surrounding world, he published his Selected Passages from Correspondence with Friends, causing a scandal among the truth-seeking Russian intelligentsia. The most famous Russian writer at the time, Gogol made it clear in the book that he was a conservative, a supporter of Orthodox, monarchic and patriarchal principles of Russian life. The debate that sprang up as a result between him and Belinsky allows us, in my view, to understand the contradictory nature of Russia's historical path, its present and even its future. 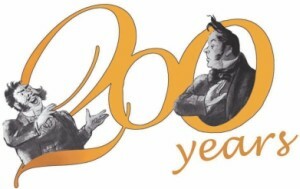 Belinsky to Gogol: "What Russia needs is not sermons (she has heard enough of them! ), or prayers (she has repeated them too often! ), but the awakening in the people of a sense of human dignity lost for so many centuries amid dirt and refuse; she needs rights and laws conforming not to the preaching of the church but to common sense and justice, and their strictest possible observance." Gogol to Belinsky: "You say Russia's salvation lies in European civilisation. But what a boundless and limitless word that is... It contains the phalansterian [from Fourier's utopian "phalanstery"], the red, and all sorts, and all of them ready to devour one another, and all bearing such destructive, such ruinous principles that every thinking person in Europe is aquiver and asking unwittingly, where is our civilisation? European civilisation has become a ghost which no one has yet seen, and if they try to seize it, it falls to pieces." Belinsky to Gogol: "I leave it to your conscience to admire the divine beauty of autocracy (it is both safe and profi table), but continue to admire it judiciously from your beautiful far-away [Gogol was living abroad]: at close quarters it is not so attractive, and not so safe..."
Gogol to Belinsky: "You speak as though I had sung a song of praise to our government. I did not. I only said our government consists of us... If the government is an enormous gang of thieves - or do you think no Russian knows that? Isn't that why we are all at cross purposes? One looks to England, another to Prussia, a third to France. We must all do our work in good conscience. Then everything will be fine, and society will recover on its own. The sovereign has a great deal to do with this... He has only to govern well, without spoiling anything, and everything will resume its proper course." Belinsky thought the experience of the West could reform Russia and bring it longawaited happiness. Gogol was sceptical of any such possibility: he wondered if freedom might not turn out to be worse than serfdom. Who was right? Russia has yet to answer that question.